Volunteer Public Relations (PR) Manager - Child & Family Connections, Inc.
We are looking for a volunteer Public Relations (PR) Manager on a part-time, as-needed basis. At Child & Family Connections, we believe that everyone thrives when the work is important, challenging, rewarding, and fun. So our volunteers are treated like staff, given the same level of responsibility (and accountability) and access to leadership and organizational information as part of our team. The ability (and interest) in working independently is required. Our staff all work virtually, usually from the comfort of home or anywhere else conducive to doing great work. This allows us to dedicate nearly all of our funding to direct service programs, helping families at risk. For the most part, you can make your own hours. Not a morning person? No problem! Prefer working from the comfort of your home or from your favorite coffee shop? You decide! Our PR Manager will develop and execute a communications and media strategy to promote our pioneering and impactful programs while ensuring our hard-earned reputation locally and nationally as a thought-leader in the field of families and parental mental health. Fortunately, we have some strong material to work with: lots of conference presentations, keynotes, published articles, and more. 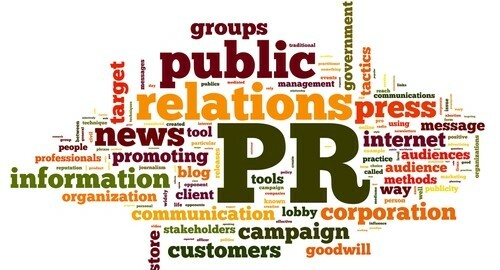 The ability to tie PR into a social media strategy is strongly preferred. Requirements: Professional experience in Public Relations. College degree in Communications, Public Relations, Marketing, or similar. Experience or interest in the behavioral health field is helpful. Excellent communication skills, mature, ethical, responsible, and trustworthy. …psst, over here: False (not all press is good press) at least not in the nonprofit world.